Winter Break is almost here, are you ready for two weeks at home with your kids? 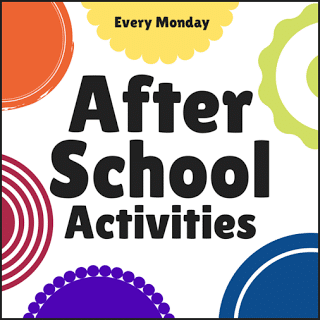 The After School Linky Party is packed full with kid’s activity ideas for you to do with your child while there are on break. The fun parts is that many of the Christmas ideas and even a few ways to sneak in some learning over the break. Be sure to follow our Winter Themed Project for Kids Pinterest Board for more ideas too! Find it featured at the end of this post. Follow The Educators’ Spin On It’s board Winter Projects to Make and Do on Pinterest. I need ideas for after school activities. Thank You.